If you want to promote your business through online platforms you are going to need to start with a website that matches your company and the brand you want to portray to your clientele. The biggest mistake a company will make is spending a premium for a website that looks appealing to them but not to the search engines. The second biggest mistake a company will make is creating a website that does not result in a high conversion rate. Remember, it’s not hard to get people to visit your website, it is hard to get those visitors to go from perspective clients to paying clients. Make sure you build a website that aligns with your business and reflects the brand you are trying to create and then make sure that website looks good to both the public and to the search engines. This is the key to successful online marketing. If you build a website that looks good to the major search engines you will get great visibility online but if the website isn’t appealing to your leads, you will not have the opportunity to create a sale and on the flip side if you have a great looking website but nobody can find it then you still cannot create a sale from your marketing and website. This is why you need a top web design company to help you build a custom website design and create you an seo friendly website. Blue Fusion Digital is one such Digital Marketing Agency found in Camarillo, California, we have been ranked top 15 by Upcity.com has developed a incredible reputation as a Camarillo web design company. Blue Fusion Digital was nominated for this ranking by its clients and the larger community of San Diego. The company has marketing consultants that are sourced from the largest SEO and PPC companies, the competent content writers also provide that unique cutting edge writing that is going to offer you with appropriate internet marketing solutions that will suit your small business. With over 5 years of experience Blue Fusion Digital has had thousands of keywords ranked in the major search engines organic results and local maps section. With this valuable experience, Blue Fusion Digital has got much creative as well as technical expertise that they will use to promote your business online driving it to the targeted financial growth. Blue Fusion Digital has knowledge on all aspects regarding the internet marketing industry from their experience working with both the large internet marketing companies and smaller internet marketing agencies. At Blue Fusion Digital you are going to get services offered through the use of cutting edge tools coupled up with passion, skill and communication at a fraction of the cost. Blue Fusion Digital has an open communication policy; through their strategy sessions you will understand the reports and reviews sent to you on a regular basis. The Clients that have signed up with Blue Fusion Digital have developed trust and love, they work with clients from medium to large national and international businesses as well as locally focused small businesses. Blue Fusion Digital does work with all types of business across all industries with a minimum monthly budget starting from $250 depending on the type of service being offered. Blue Fusion Digital practices sound and quality online marketing solutions for its own website and they own first page rankings for hundreds of keywords. Not like other online marketing agencies that preach SEO but do not apply it to promote their own website. All these services are offered by competent, skilled and experienced professionals at Blue Fusion Digital. At Blue Fusion Digital the specific needs of your own business will be given keen attention, the needs will be well analyzed and then a custom internet marketing service will specifically designed for you. This custom marketing service will go a long way to promote your business. In their quest to remain a top SEO company California and top seo company USA, Blue Fusion digital now offers a free SEO audit to potential new clients. This SEO audit is based on your website domain name, a keyword and other identifying information. After this SEO audit, Blue Fusion Digital will offer you a complete on-site web audit once you become a client. This on-site web audit is a thorough and detailed procedure which will examine all your website details such as title tags word count, broken links, header tags and even coding errors that might have been included when building your website. After this on-site web audit a customized program geared towards attaining higher search engine rankings for your website will be created. One overlooked aspect is making sure your website has a clear call to action. A call to action can be something like adding a phone number to the top right of the page or a contact form added “above the fold”. The use of call to action in exit intent pop ups helps to draw users’ attention. This tactic enticingly wins one’s will to take action now and through your link if you are targeting to make related sales or promotion. This will earn a good number of clicks for an almost lost traffic. Blue Fusion Digital applies Responsive web design (RWD) setup that enables all mobile gadgets (phones, tablets and Desktops) to receive HTML codes. The Responsive web design serves all devices with the same code that adjusts to fit screen size. CSS is used to alter the behavior of your pages on these devices. RWD requires no user redirection to have a device-optimized view. This technique therefore reduces load time and errors on mobile devices. Why Does An SEO Company Build Better Websites? Whenever users type anything they are looking for in the search box, the search engine will determine the most valuable websites to provide the information. Therefore, to make your site appealing to the search engine, you need SEO. Blue Fusion Digital, a Web Design Company in Camarillo exists for this. With SEO, your website will always be available to people. 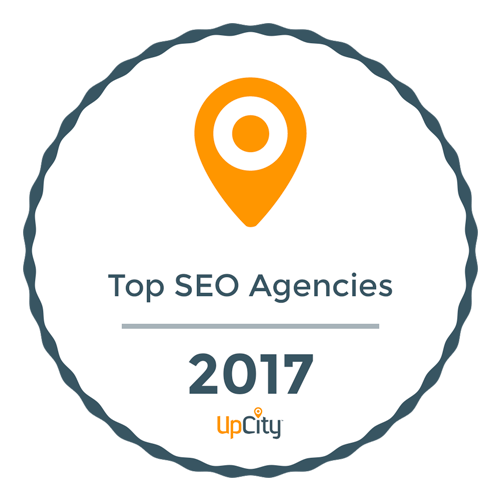 As a Top Camarillo SEO Company we target certain keywords through different search engine marketing techniques. We increase the chances of your site showing as a result of particular searches. We use a variety of white hat tactics that will help your website get returned in search results, whenever people want to find information about the keywords. SEO is fully employed to the best of our abilities to ensure maximum web traffic is achieved. We apply SEO strategy of diligent keyword research which involves finding out just how people are coming to your website. We check the terms or statements they use and questions they ask. In turn, after determining how people are looking for sites like yours, we provide them with the answers they seek. This is all about appealing to your audience. We gather popular and related keywords that suit your website’s content, then you can incorporate them into the content and the marketing techniques that would like to employ. The SEO is therefore built into your website to save time by offering quick search results, and save money. This is why you will need Camarillo Web Designers at Blue Fusion Digital. Blue Fusion Digital has developed the art and skill of designing and building websites that are both technically and physically sound. Designed bearing in mind the marketing needs of your company; the website content is tailored to appeal to your potential clients as well as give the necessary information and services needed by your current clients. All the important technical aspects needed to see the success of your website are incorporated during the design stage. The appearance of your website will be designed to be visually appealing and professional as well. The attractive website will generate a very positive impression keeping the traffic level to you website high. Blue Fusion Digital employs good use of color and they are going to use the appropriate color scheme that will be geared towards portraying the correct tone for your business. This color scheme will be also designed to greatly improve the readability of the website text which will be written in good font types and sizes that are easy to read. Meaningful and appropriate graphics and quality photography are going to be used in your website to make information easily understandable. The functionality of the website will be guaranteed, every component of the website will be designed to work quickly and correctly. The Hyperlinks, contact forms, site search and all the components will be designed to work properly. Simplicity, fast-loading pages, a consistent layout, descriptive link texts, proper screen resolution and more aspects that will increase the usability of your website will be incorporated to the design of your website. And as a Reputable SEO company, your website will be designed with great SEO aspects incorporated into its structure. Planning- the Blue Fusion Digital website designers at this stage gather important information and guidelines regarding your website. Requirements analysis, project charter, site map, the required software and resources, contracts that define roles, copyright and financial point are all determined at his stage. The Design- at this stage the information outlined in the planning stage is fine tuned into more realistic aspects. At the end of this stage your website will take shape. Content and additional special features are introduced in the next stage. The professionals at Blue Fusion Digital will develop a physical shape and layout at this stage. Mock-ups will be developed for your review at this stage. After you approve a mock-up, valid coding begins. The Development stage. At this stage the professionals start bulk programming, website content is also loaded at this stage. A development framework is built at this stage to cater for the unique requirements, this framework ensures smooth running of the development of the website. Code templates for each page is developed, the specific needs for each of the separate webpage in your website will be catered for in the coding process. The functionality of the special features, links and the website as a whole is tested at this stage. After these stages Blue Fusion Digital will guide you in determining the best host for your website. A reliable host with high speeds will be determined to host your website. Other important feature such as security, speed, substantial bandwidth, superior features and technology and friendly pricing will also be considered. You will also be advised on the best buy plan for your website; longer hosting periods will offer you the best options to develop and maintain your website. An appropriate and online friendly Domain Name will be chosen for you- for your approval. As a reputable Camarillo web design company, Blue Fusion Digital will determine the best domain name in line with SEO principles; a short domain name is much better compared to long domain names which might be incomprehensible by many users. A website with long scrolling pages could be really boring and can easily keep off your visitors or prompt them to quickly click back. Landing pages resolves the threat. Your home page is possibly loaded with links that lead other areas of your site. These areas accessed by clicking the hyperlinks on another webpage are called landing pages. Additionally, your visitors can land on these pages after clicking your online marketing call-to-action. Landing pages result in high conversion rates. This great advantage is associated with the fact that landing pages are specific. They objectively match the intention of the ad clicked by your visitors to access the target page. This makes your pages incredibly win a number of clicks and shares. You will use the full-fledged landing pages for PPC and email campaigns. Therefore, every link on your page should contribute to a fast conversion goal. The message on the landing page is well matched with the upstream ad in order to retain the attention of visitors; otherwise they will quickly click back. For the above reasons, you will need two types of landing pages: a lead generation page and a click-through page. Shane Hampson the founder of Blue Fusion Digital, is experienced in internet marketing having worked for a variety of leading digital marketing agencies. He also worked in a company that specialized in custom banner ads and custom web designs. This experience and with the Blue Fusion Digital, their service delivery is top notch and they will lead your company in a path that will enable you attain that targeted financial goals. What is a landing page? A landing page is a page built on your website that targets a specific keyword of set of similar keywords. For example if you were a dentist and your website was www.thebestdentistinsimivalley.com and you had properly set your website up to make sure each service you had to offer had it’s own informational page such as “teeth cleaning” your website would have a page that looked something like www.thebestdentistinsimivalley.com/teeth-cleaning. When people in Simi Valley were searching for teeth cleaning the search engines would bring up this “teeth-cleaning” page in the search results and would show up in the search results for that particular keyword of “teeth cleaning” instead of the your homepage. These landing pages need to be properly optimized for conversion which means you need to have a specific call to action readily available so people get in touch with you. Blue Fusion Digital creates custom responsive landing pages that are proven to convert better which makes your website more profitable. Display advertising is one of the most under rated and over looked forms of digital marketing but it is still a very valuable tool when used properly. Specifically speaking re-targeting can be extremely beneficial to any business with a website. What is display advertising and why do I need a custom banner ad design? When a person searches for a keyword and end up on your website they are automatically tagged with a “cookie” which enables your banner ad design to follow them around the web when the visit other websites, even if the other websites are not even in a similar category! This is terrific for branding and just remember if they were interested enough to research something they are probably looking to buy something in the near future. Stay in there mind with your custom banner ads! Do you need design work that isn’t listed above? No problem, we also offer many other graphic design services such as custom T-shirt design, pamphlets, etc. If you need a graphic design company for any design work, let Blue Fusion Digital walk you through our portfolio of previous projects.